The Global Charcoal market is estimated to reach 13 Billion USD in 2017. The objective of report is to define, segment, and project the market on the basis of type, application, and region, and to describe the content about the factors influencing market dynamics, policy, economic, technology and market entry etc. The global peat market has seen a remarkable growth over the past few years and it has been expected that the global market will maintain the growth status during the forecast period. The global peat market has been driven by the key factors such as rising demand of peat in the application industries like fuel & energy, agriculture, domestic, medicine and others. Peat has a major contribution to the fuel and energy industry and additionally, in countries like Finland and Ireland, peat is majorly used for harvesting on an industrial scale. Countries such as Scotland and Ireland, peat are also used in cooking as in these regions where there is a scarcity of trees. These all factors are driving the global market and creating opportunities for manufacturers to cover the market. By Types: fibric, hemic, sepric and others. By Applications: fuel & energy, agriculture, domestic, medicine and others. At Market Research Future (MRFR), we enable our customers to unravel the complexity of various industries through our Cooked Research Report (CRR), Half-Cooked Research Reports (HCRR), Raw Research Reports (3R), Continuous-Feed Research (7CFR), and Market Research & Consulting Services. CHEF REMI SHOWS THEIR CUSTOMERS HOW TO CREATE FRESH PIZZA ON A GRILL, WITHOUT NEEDING A PIZZA STONE! Want to impress your family and friends by cooking a pizza directly on your BBQ grill? SAN FERNANDO, CALIFORNIA, UNITED STATES, May 25, 2017 /EINPresswire.com/ — Here in the US, grilled pizza is more popular than ever before. However, cooking a pizza directly on grates is difficult. You can’t be sure of even heat throughout the dough, and buying a pizza stone, to even out heat, is expensive. Chef Remi is 100% committed to designing genuine quality kitchen tools to support busy parents that take the time to cook for their family. •	Duke Manufacturing Co. Inc.
PUNE, MAHARASHTRA, INDIA, May 24, 2017 /EINPresswire.com/ — Market Research Future published a Cooked Research Report (CRR) on Global Organic Baby Food Market value which is estimated to grow at 11.73% by 2027. Organic baby food is nothing but soft, and easily consumable food, other than breast milk or infant formula which comes in diverse formulation and multiple varieties and tastes. It is considered as total or partial substitute for breast milk for infants or toddlers of under two years and helps in baby’s growth and initial body development. The raw material used in prepared and processed organic baby food, is strictly produced without the use of synthetic fertilizers or pesticides and processed organic baby food don’t contain any artificial flavors, colors or preservatives. The market players have increased their level of investment in research to identify right formulation and to improve product functionality in order to capture lion’s share and create brand recognition in organic baby food market. Most of the companies operating in this market are focusing on expanding its operations across the geographies, and investing in R&D to offer products with better functionality. Among the product type, ready to eat segment is anticipated to retain its dominance throughout the forecast period. Also, the segment is projected to register the healthy CAGR of 11.82% during the forecast period. Due to changing lifestyles, consumers are spending less time planning and cooking meals at home as they consider preparing food at home as a chore and is time and energy consuming. Dried baby food segment is also projected to grow at a healthy CAGR of 12.04% during the forecast period of 2017-2027. The preparation of organic baby food involves natural way of production and includes the use of basic ingredients such as cereal, milk, sugar and others. Raw material used in organic baby food production are grown or produced in organic way without any use of chemicals including pesticides, preservatives resulting in preparation of high quality products to meet consumers’ expectations. Organic baby food is processed and packaged according to the guidelines given by the Government bodies. Robust economic growth, rising urbanization, explosion in the middle class population coupled with cheap labor force and rising disposable income has translated a massive demand of organic baby food products in the developing nations. These factors will play a key role in the growth of organic baby food market at the CAGR of 11.73% during 2017-2027. The Global Organic Baby Food Market is segmented into North America, Europe, Asia pacific and Rest of the world. Among this Asia Pacific has the major market share followed by Europe. North America is projected to grow at the steady CAGR of 11.72% during the forecast period. On May 17th, James Leitner set off on his 3200+ mile Walk Across America to raise awareness and money for the global water crisis. PRINCETON, NJ, UNITED STATES, May 19, 2017 /EINPresswire.com/ — On Wednesday, May 17, 2017, James Leitner from Scotch Plains, NJ began the first leg of his 3215 mile journey from the WorldWater & Solar Technologies headquarters in Princeton. After completing 12 marathons in 12 months with 45 pounds of water on his head, Leitner plans to walk 25 miles (practically a marathon) each day for the next 4 months with 90 pounds of water in tow to symbolize the millions of women and children that have to walk carrying large cans of water for several miles on a daily basis. Leitner is also looking to raise at least $15,000 for the Philadelphia Serengeti Alliance, a non-profit whose mission is to build wells in various regions of Tanzania where clean water is extremely scarce. Leitner will walk across 12 US states and a part of Canada along his journey. Cities he plans to visit include Buffalo, Chicago, Denver, Des Moines, Denver, Salt Lake City as well as Flint, MI where clean water is also known to be problematic. At a launch ceremony hosted by Princeton-based solar technology company, WorldWater & Solar Technologies, Leitner’s family, friends, public officials and other supporters gathered from around the region to give their well wishes before his long odyssey from Princeton to San Francisco. Because WorldWater has been building patented solar-powered units to provide clean water to villages throughout Africa, including Tanzania, as well as in developing, war-torn and natural disaster-ridden countries around the world for over 30 years, Leitner found it fitting to have his send-off at their location. At the launch event, WorldWater Founder and CEO Quentin Kelly spoke about meeting Leitner and how impressed he was with his monumental endeavor. Leitner filled his two big blue jerrycans with water purified by WorldWater’s patented Mobile MaxClear before his big trip. He currently consumes 5-10 gallons each day so far and plans to replenish the water throughout his trip. The water will serve as Leitner’s drinking source as well as for any cooking and hygiene. Margareth Awiti, the President and Founder of the Philadelphia-Serengeti Alliance, and Stephen Dunne, Vice President of PSA, said a few words at Leitner’s sendoff to praise his dedication to helping resolve the global water crisis. Lange Schermerhorn, former Ambassador to Djibouti, spoke about her experiences witnessing the desperate need for clean water in Africa. Mickey Ingles, the Chief Engineer for WorldWater, gave a brief description of the Mobile MaxClear and its solar-powered water purification technology before he filled up the jerrycans for Leitner. Finally, James Leitner himself gave a heartfelt speech expressing gratitude for all of his friends and family members who joined him that morning to wish him well on his journey. Immediately after saying his thanks and goodbyes, Leitner strapped on his big backpack of food and bare essentials and attached the small cart carrying the water-filled jerrycans to his waist, and he was off. The small crowd waved goodbye as he walked across the small stone bridge and grassy knoll of the WorldWater grounds onto the road ahead. The edible oils consumption is likely to boost up across the world largely, among the various types specialty oils are likely to gain more demand. The inclusion of various new ingredients like avocado, hazelnut, pistachio, almond, salmon, flaxseed, walnut and others which are rich in omega fatty acids will drive higher demand for these oils in the coming years. The wide range of applications of specialty oils from cooking to other industrial usage like walnut oil in paint industries. Flaxseed oil and salmon oil are used in pharmaceuticals industries in making omega supplements. Among various process types, cold pressed specialty oils are emerging due to retention of nutrition specially Vitamin-E, which is becoming popular among consumer groups. Hence, the global specialty oils market is expected to grow at a CAGR over 6% post 2022. 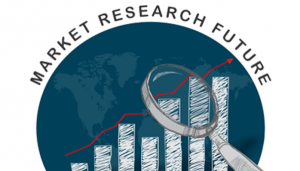 WiseGuyReports.com adds “Household Appliances Manufacturing Market 2017 Global Analysis Research Report Forecasting to 2022”reports to its database. Sustainable Laundry Machines was considered to be one of the latest trends shaping the Household Appliances Manufacturing market as of 2016. Household electric appliance manufacturers are implementing technologies to manufacture sustainable laundry machines. Some consumers are demanding products that are energy and water efficient. Many companies have launched sustainable laundry machines that use less or no water and detergent or reuse water. Household Appliances Manufacturing Market Global Briefing provides strategists, marketers and senior management with the critical information they need to assess the global household appliances manufacturing market. Household Appliances Manufacturing Market Global Briefing Report from The Business Research Company covers market characteristics, size and growth, segmentation, regional breakdowns, competitive landscape, market shares, trends and strategies for this market. The market size section gives the household appliances manufacturing market revenues, covering both the historic growth of the market and forecasting the future. The trends and strategies section highlights the likely future developments in the household appliances manufacturing market and suggests approaches. Get up to date information available on the household appliances manufacturing market globally. 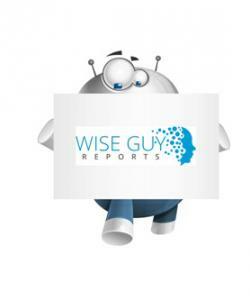 Market Analysis Research Report on “Global Smart Appliance Market 2017 Industry Growth, Size, Trends, Share and Forecast to 2021” to their research database. Smart Appliance market research report provides the newest industry data and industry future trends, allowing you to identify the products and end users driving Revenue growth and profitability.